Not only is trash burning bad for the environment, burning trash is bad for your health. 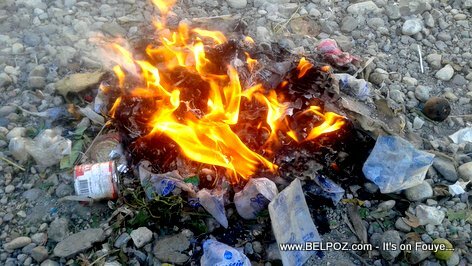 You may not see the effect in the short term but in the long term, being exposed to burning trash will make you sick. Read: Trash Burning in Haiti, It's really bad for your health (VIDEO) and discover the dangers you are exposing your self to when your burn your trash.